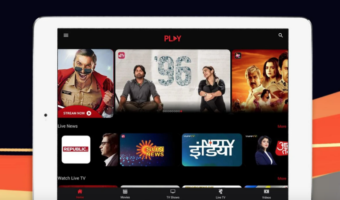 Airtel will now allow postpaid customers to customize their bill plans according to their unique preferences. 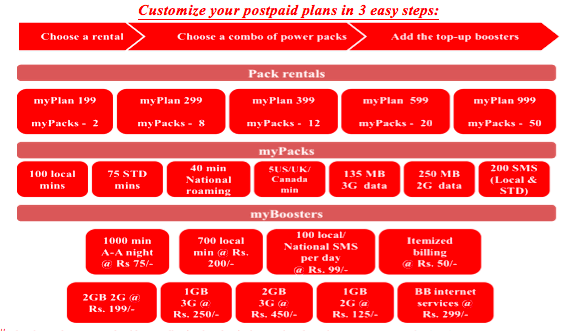 Airtel myPlan customers will have the freedom to create a plan in just 3 steps. 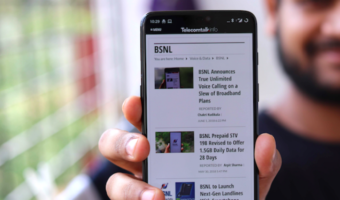 Customers can also customize their postpaid plans on the basis individual usage preferences, Airtel myPlan will offer all its customers unparallel flexibility, value-for-money, freedom and convenience. Customers can now customize and manage postpaid plans just 3 simple steps. Top up with myBoosters – Customers can further top up their plan with myBoosters & enjoy custom-made additional benefits. Customers can visit the closest Airtel Relationship Centre or call 0-88000-88000 to activate myPlan. I recently got ported in airtel. I found the myplan thing to be really cool! I opened its website to choose booster packs for my next month’s plan and i found out that they are a bit costlier! local call was like 100 mins a pack and their website shows that its 90 mins. Same story with STD pack 80 instead of 90. I feel like being cheated.